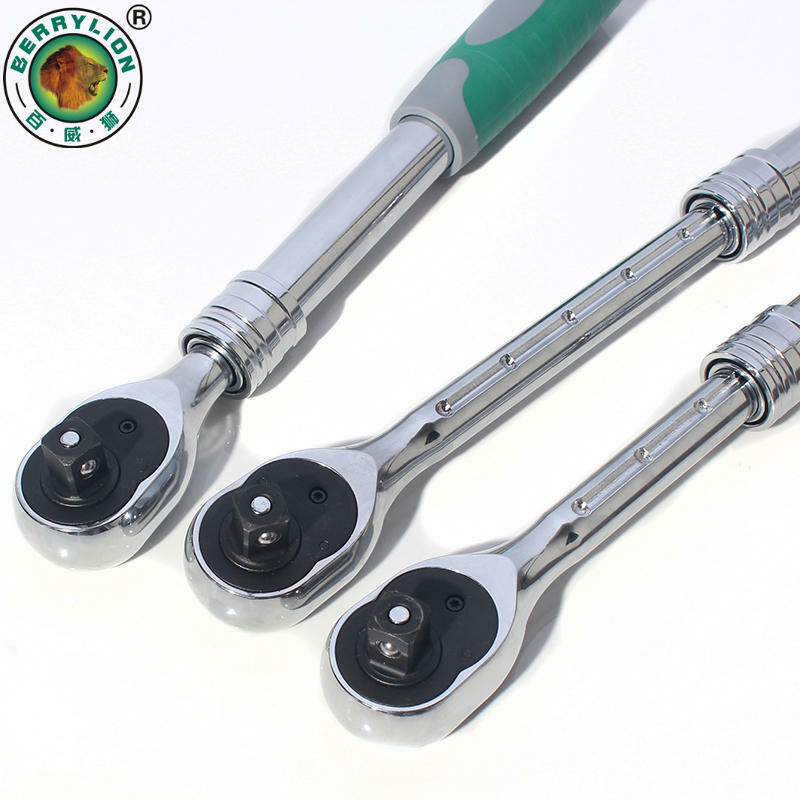 Ratchet wrench with chrome vanadium steel forging, surface polishing. Heavy design, wear rust, torque super, comfortable grip. Can be free to stretch and automatically off function. There are positive and negative components that can be quickly redirected.